The evening is a magical time for snowshoeing. Join us whether you´re looking to try snowshoeing or just for an excuse to play in the snow. Head out on the trails of Heritage Ranch with your guide as the sun sets, explore the trails with your headlamp and the moon light before heading back to the Westlake Grill for a pint and some of Red Deer´s best wings. Every Tuesday evening, we head out for 1.5 to 2 hours on the trails. This tour includes snowshoes, hiking pole, headlamp, guide as well as wine or beer with wings afterward. Enjoy an evening of snowshoeing under the stars. Experience the quietness of the night, right here in the city. A great option for those who've never been snowshoeing before and those looking for a social evening on the trail. Relax with a pint of your favourite locally brewed beer and wings at the Westlake Grill afterward. Perfect for: Anybody looking for a fun evening playing outside. No prior snowshoe experience required. This day trip is open to all ability levels, whether you are a beginner and or an expert. Our guides will help you become comfortable on your snowshoes and provide terrain suitable for the group. The Snowshoe in the City tour is recommended for those 18 or older. 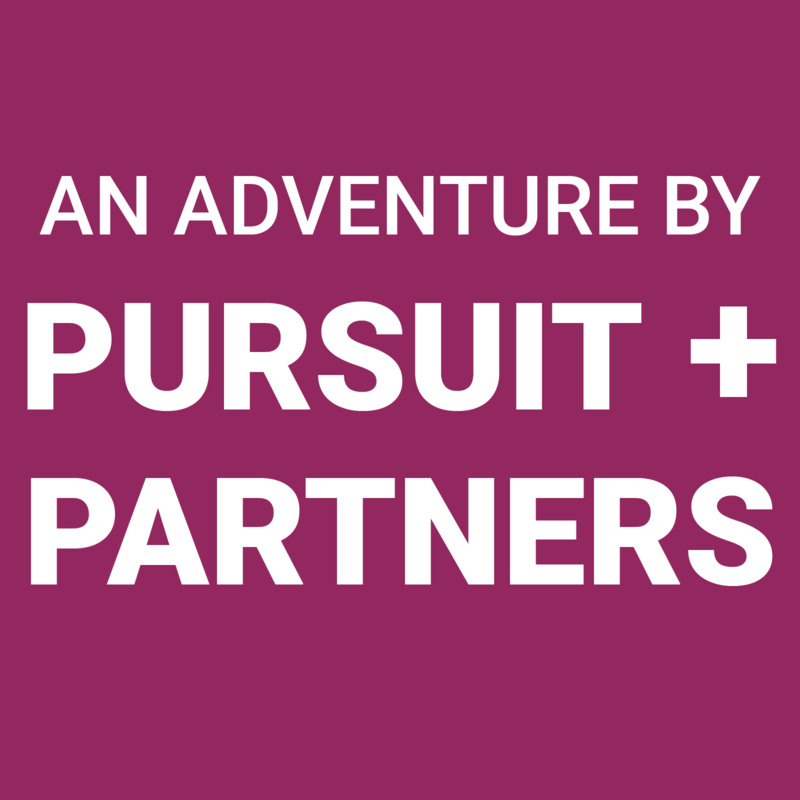 This tour is owned and operated by Pursuit Adventures with some activities offered by local partners. You´ll meet your guide and group on the deck in front of the entrance to the Westlake Grill at Heritage Ranch (6300 Cronquist Drive in Red Deer). Please arrive 5 minutes prior to the tour. From there you'll head out for a 1.5 hour snowshoe tour of the trails of Waskasoo Park before heading back to the ranch for some wings and beverages. 8:15 pm - Return to the trailhead, relax with a complimentary drink and wings at the Westlake Grill. We provide snowshoes, headlamp and hiking pole at no charge for this tour. You are welcome to bring your own if you wish. A pint of beer or small glass of wine is included along with an order of wings per person. Transportation to and from the trailhead is your responsibility. The tour includes 1 order of wings and 1 beverage from a selection of wine and beer per person. You're welcome to order additional food or beverages and those can be paid directly to the Westlake Grill. The standard group size is 1 guide with 10 guests for this tour. This tour is recommended for those 18 and older. Contact us for options for younger guests. A minimum of 2 guests is usually required for the tour to be offered. Please note that we require a minimum of 2 guests to offer this tour. We will email you as soon as the departure is confirmed. In the event where we do not have 2 guests, we will contact you no later than 2 pm the day before your tour to cancel. At your choice, we will issue a full refund or offer you a credit toward a future adventure.